Our 1st wedding anniversary was celebrated in Boonville, CA. A charming small town about 2 hours drive north of San Francisco. The Boonville Hotel was beautiful and the restaurant, killer. 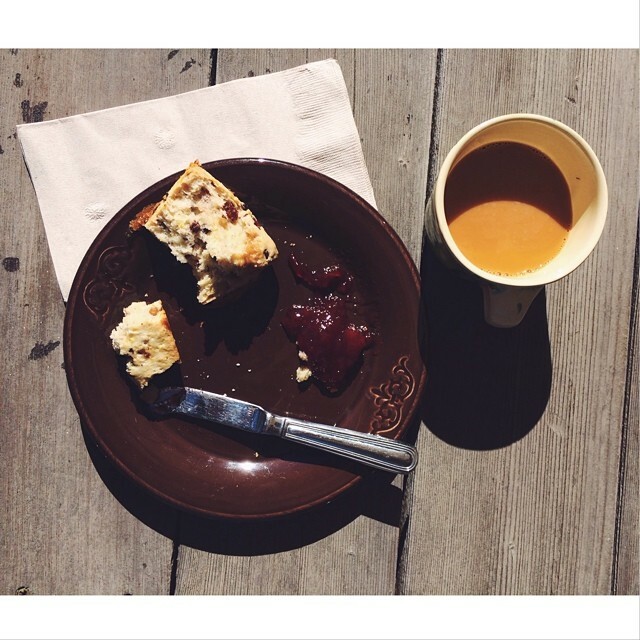 This fresh currant scone with house-made plum jam was just a sliver of the delicious meals we enjoyed there.